We’ve not even seen the Samsung Galaxy Note 8 break cover yet, but the rumor mill doesn’t care for schedules and timings, and we’ve already heard an interesting tidbit about the Note 9 – it’s going to come with a fingerprint sensor embedded in its display. We know that as phone manufacturers have banished the bezels on their flagship phones, they’ve struggled to incorporate fingerprint-sensing tech under the screen, which means the sensor is typically banished to the back – as on the Samsung Galaxy S8 and Galaxy S8 Plus. Apple is reportedly the latest company to give up trying to embed its fingerprint scanner into the glass on its devices – the iPhone 8 will apparently have a Touch ID sensor around the back of the handset or maybe even built into the power button. 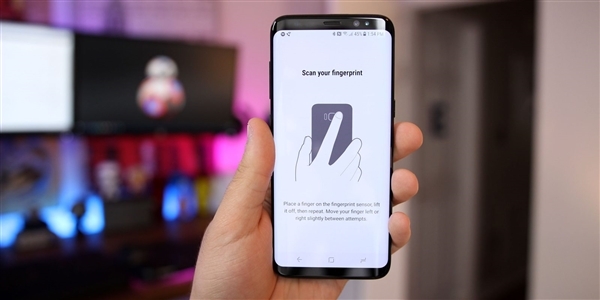 The Samsung Galaxy S9 will keep the fingerprint sensor on the rear of the device, KGI says, though it may be repositioned for a more ergonomic experience. That phone will apparently have upgraded iris recognition and an improved dual-lens camera to help tempt buyers into a purchase. nice post thanks. . . . .